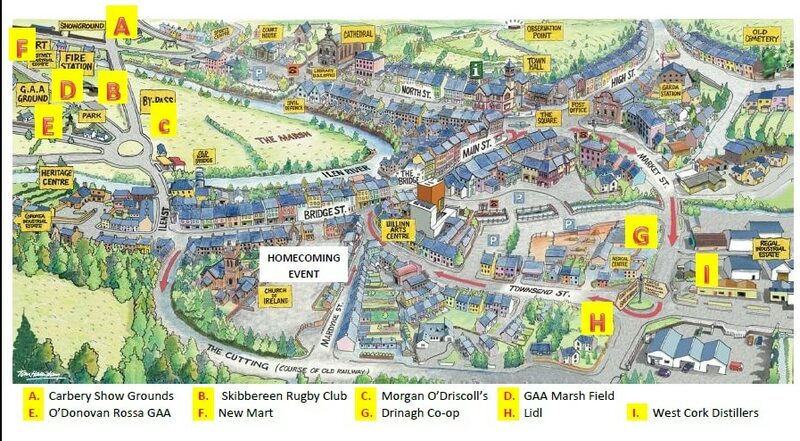 All roads lead to Skibbereen this Monday evening, 29th August with up to 10,000 people due to attend the homecoming of our Olympic silver medallists Gary and Paul O’Donovan and their coach Dominic Casey. The homecoming parade will start in the Cork Rd at 7pm with an open top bus carrying the Olympians along the Cork Rd, into North St and then turning right onto Main St before arriving at the Fairfield where you will once again get the opportunity to relive the excitement of the race on the big screen and also see Paul and Gary being interviewed on stage by RTÉ’s Jacqui Hurley. 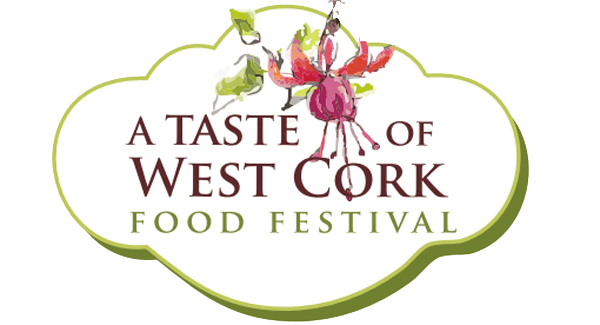 Parking will also be available at West Cork Distillers on Market St and supermarket car parks in Skibbereen will remain open until 11 pm to facilitate the event. 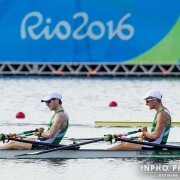 Fantastic atmosphere in Skibb today as the community cheered on Gary and Paul O’Donovan in their Olympic Semi-Final. 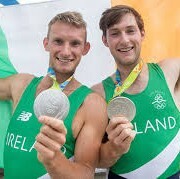 Congratulations to the O’Donovan brothers who qualified for the final and who have really put Skibb on the map not only with their rowing prowess but also with their post match interviews! 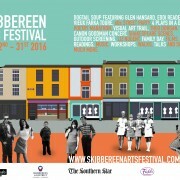 Skibbereen is very proud of you!! Skibbereen Credit Union will be showing the final tomorrow at 14:44 and everyone is welcome to come along again to cheer the lads on. 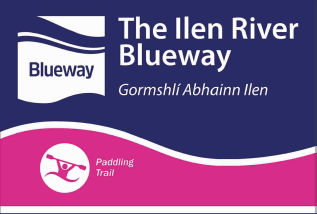 The Ilen River Blue Way has been launched and is a fantastic addition to the many activities to take part in in West Cork. 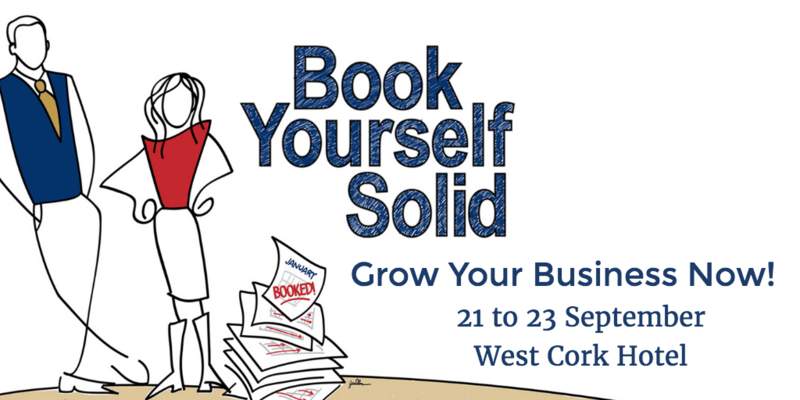 Grow Your Business Exponentially…….Come to the Book Yourself Solid® Live Mentoring Event at the West Cork Hotel from 21 to 23 September. ° Take your business to the next level. ° Grow your client & customer base. ° Learn cutting edge business practices. 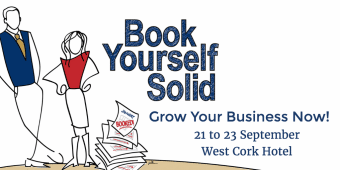 Whether you are an entrepreneur, service provider, coach, consultant, retailer or business professional, Book Yourself Solid® is the fastest, easiest and most reliable system for getting more clients and customers than you can handle, even if you hate marketing and selling! Three powerful days: Workshops, seminars, coaching and collaboration. 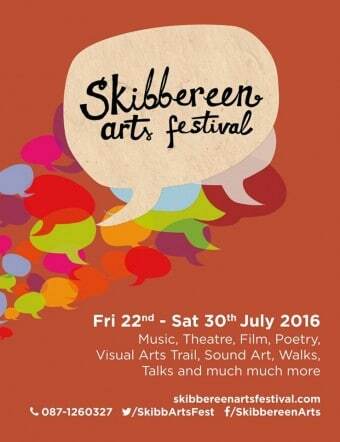 The 8th Skibbereen Arts Festival has something for everyone with music, film, theatre and poetry. Literature, exhibitions, symposiums and installations. 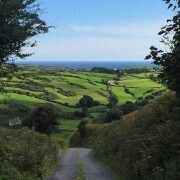 Walks, talks and workshops. 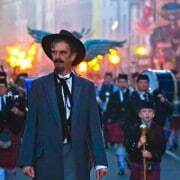 Family fun days and a spectacular 1960’s street party. No matter your age, there truly is something for everyone. We hope you enjoy. Please click on link to see part 1 of a 2 part special on Ireland and Irish research shown on TCTV Channel 22, Olympia, Washington. 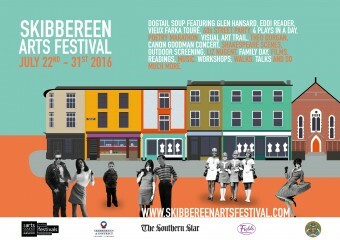 Skibbereen features in this episode with part 2 due later this month and includes interviews with residents of Skibbereen with some very interesting facts about the town and neighbouring areas. with Music, Theatre, Film, Poetry, Visual Arts Trail, Sound Art, Walks, Talks and much much more. 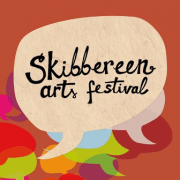 The detailed programme of events will be up on the festival website skibbereenartsfestival.com on 13th June… but you can check their Facebook and Twitter between now and then for updates so ……. stay tuned! The Parent’s Association of St Patrick’s Boys National School are hosting a Monster €1,000 Bingo, in the West Cork Hotel on Sunday 17 April. All are invited to come along and join in the fun and help raise funds for the School Garden. The new garden will consist of Geodome, Willow Tunnel and Dome, Amphitheatre, Raised Beds, Wormery, Composting Area, Insect Hotel, Observation Areas of Orchards, Mixed Native Hedge, Mini Forest and a Wild Nature Trial. In St. Patrick’s Boy’s National School there are 3 Autism (ASD) Classrooms and in the garden we are incorporating a Sensory Garden which includes a Sensory Path, Planted Areas based on our five senses, a Zen Garden and a Herb Wheel. Everyone is so excited for this project to be completed so that all of the children in the school can enjoy their Garden. Other fundraising events are also planned in the near future so please check out their Facebook page – Skibbereen St. Patrick’s BNS Parents’ Association which has all the information about the project and fundraising events. 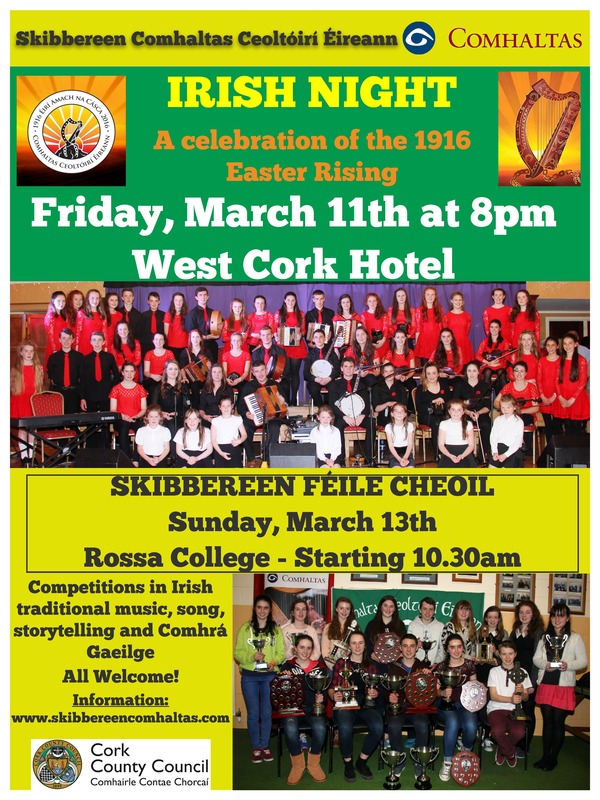 Please join Skibbereen Comhaltas as they host their “Irish Night” – a celebration of the 1916 Easter Rising on Friday March 11 at 8pm in the West Cork Hotel. The Skibbereen Féile Cheoil also takes place that weekend on Sunday March 13th in Rossa College at 10:30am. 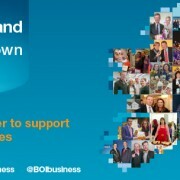 An exciting event is coming to West Cork and takes place in the Celtic Ross Hotel, Rosscarbery on Tuesday 23rd February. If you are considering a career in tourism, hospitality, hotels, events, catering, restaurant or bar management then this event is for you. 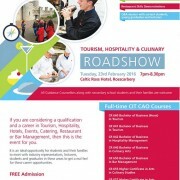 Run by CIT, the roadshow aims to encourage secondary students into the hospitality/ tourism and culinary sectors. It is a great opportunity for the students in Transition Year, 5th Year or 6th Year to ask questions about possibilities for their futures and is a great opportunity for us to keep the talented youth we have in the country and most importantly in Cork! Please come along to the Celtic Ross Hotel on Tuesday 23 February to this free event which is on from 7pm to 8:30pm to find out more. 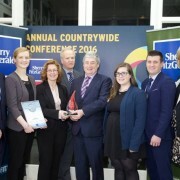 The winner of the Sherry FitzGerald Franchise of the Year Award 2015 was announced at the company’s annual Countrywide Conference which was held recently in Killashee Hotel, Naas Co. Kildare on the 29th January. Fighting off stiff competition from 67 franchised offices, Sherry FitzGerald O’Neill, with branches in Clonakilty and Skibbereen emerged victorious, a reflection of their excellent standard of service, business acumen and professionalism. Sherry FitzGerald O’Neill are long established in West Cork, the business having been founded by Ray O’Neill’s grandfather in 1930. Ray O’Neill and his wife Mary O’Neill were one of the first estate agents to join the Sherry FitzGerald Countrywide network in 1999 and they have gone from strength to strength ever since. They are a business that are continually striving to improve the customer service experience and are particularly strong in their use of marketing and technology to do so. Minister Howlin T.D. 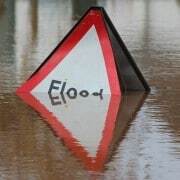 confirmed last Friday, 22nd Jan, that the Skibbereen Flood Relief Scheme is ready to proceed once again. This was followed by a letter from the OPW complying with the terms of the Confirmation on Tuesday, 26th January. 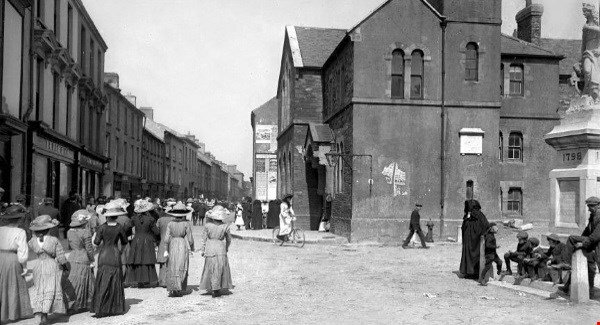 This then allowed Minister Howlin to sign a Government Order for the Scheme on the same day. Officially Government have now allowed the Scheme to go ahead. It is now over to Cork Co. Co. and the OPW to complete the tendering process. 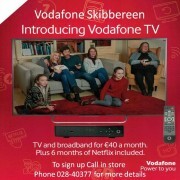 Tenders are due back to Cork Co. Co. in the first week in Feb. Assessments of tenders are scheduled for the end of March when a contractor will then be appointed. There will be a lead-in period during which loose ends, notification to property owners, contractor arriving on site and other preparations will be completed so hopefully we should see construction in mid-2016. Minister Howlin re-iterated that the Skibbereen flood Relief Scheme will take 3 years to complete at a cost of €30 million. Welcome to Skibbereen and the very best of luck to the 1000 participants who have signed up for the 6k Down and Dirty Adventure Challenge. The organisers have been working hard on the course for the last number of weeks and there will no doubt be a few surprises for you to enjoy this year! 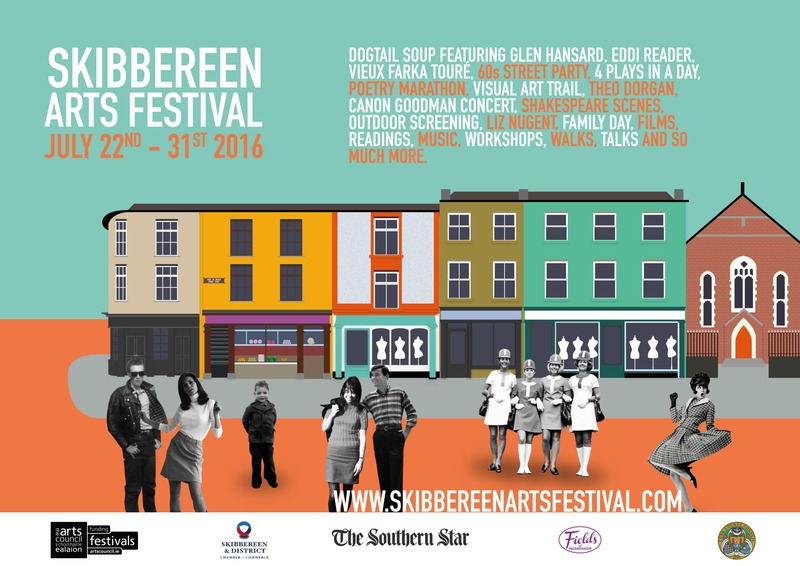 Don’t forget to pop into Skibbereen where you can pick up some unique Xmas gifts or why not enjoy a well deserved treat in one of the many cafés or restaurants in the town. This exciting initiative takes place in Skibb from Nov 3 – 8 and showcases how one small group of people is building Ireland’s most high tech town – read more about what all the buzz is about here! Speaking sessions and workshops are tailored to cater for all interests and age groups. – The Story of Entrepreneurship & the Internet of Things: Re-Imaging a connected world. Don’t forget if you are interested in helping out during the week the Ludgate Skibbereen group needs volunteers urgently and would appreciate your support. The team are looking for a range of volunteers – you do not need to be digitally minded! 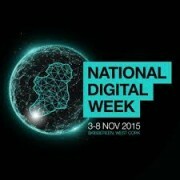 Please email hello@digitalweek.ie and pledge your support. 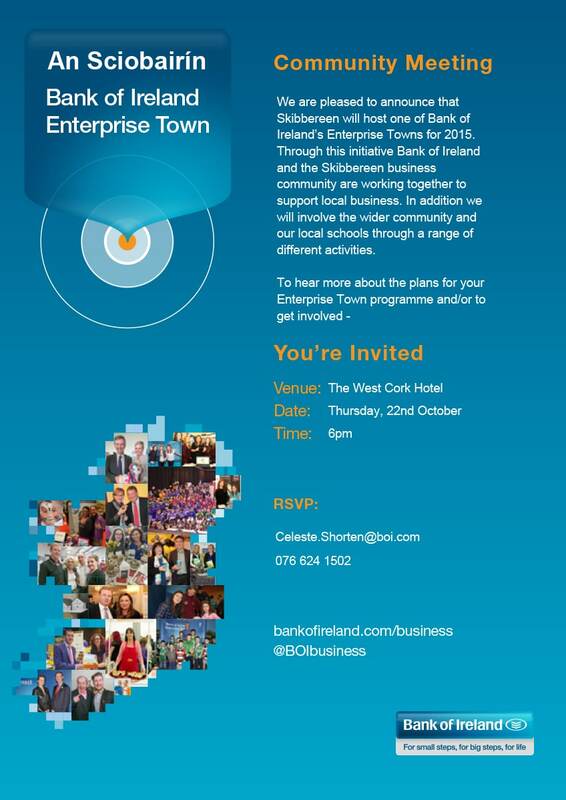 Bank of Ireland Skibbereen are hosting Bank of Ireland Enterprise Town in December. 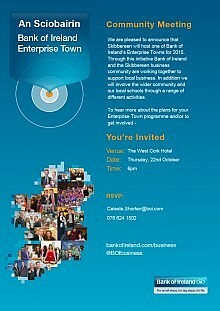 An Information Evening is being held this Thursday in the West Cork Hotel @ 6pm so please come along to find out more about how this in initiative can support your local business. 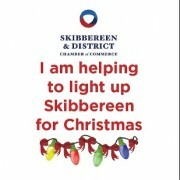 Skibbereen is fundraising for new Xmas Lights which will have not only a positive impact on the local community but will also welcome our visitors and returning family and friends. 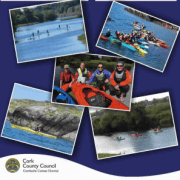 This inaugural event takes place along the River Ilen from 4-7pm and promises to be a fun family afternoon with Paddle Boarding and Kayaking along the river as well as feature swim races for the mores serious competitor over 1.5km and 3km and to top it all the weather forecast looks like it will be favourable too! 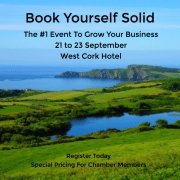 Many Thanks to our sponsors on the day – Ilen Sports Injury Clinic, Russagh Mill Hostel & Adventure Centre, Kalbo’s Café, The Edge Sports, Cork and GSUP Paddle Boarding – please find out more about each business by clicking on their image below. All proceeds raised will go toward the new Christmas Lights for Skibbereen Fund, which the Skibbereen & District Chamber of Commerce is actively fundraising for. The town would really appreciate your support in lighting up Skibbereen this Christmas, so join us for a fun afternoon in Skibb this Sunday!